This is a little easier than you think it would be. The problem is the fabric is so thick that the embroidery foot on the machine doesn’t jump high enough to move to the next spot without snagging. What you need to do is make the fuzzy part temporarily thinner. Start by putting a tear-away sticky-back stabilizer on the back of the part to be embroidered. On the front use a thick/heavy wash away stabilizer. Using a regular sewing machine run a basting stitch (1/4″ stitch length) up and down the area that will be embroidered. This will tie the two stabilizers together, sandwiching the whole thing into something that will be thin enough to work in the embroidery machine. Next, hoop up the stocking, pick a design, and start the machine to stitch it out. After the machine finishes all you need to do is remove the base stitches and pull the tear-away stabilizer off. The fabric that was sandwiched together will fluff back up, leaving a very nice design. Stocking with basting stitches and stabilizer still in place. 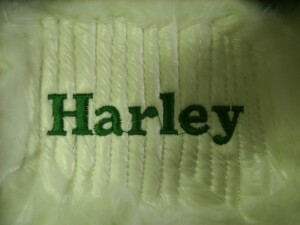 The machine embroidery has already been finished. The stabilizer and basting stitches are gone. 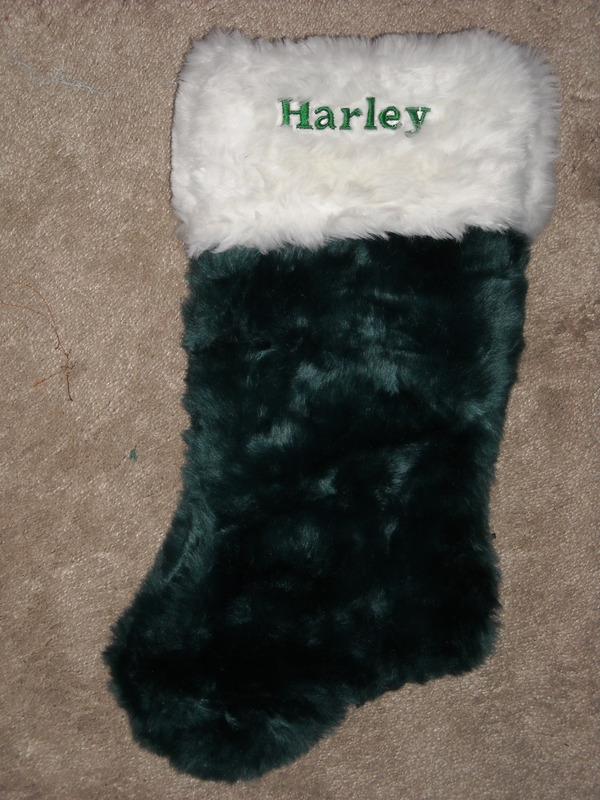 As you can see, the fuzzy part of the stocking is all fluffed up again.